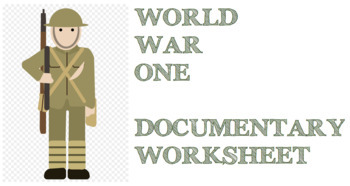 With free access to the 'World War One' documentary on You Tube (https://www.youtube.com/watch?v=fi1OyVB2laY), use this worksheet to introduce students to the main events of World War One. A series of questions to ensure active listening; scaffolding knowledge of key events, terms, people, places, battles, tactics. Also perfect as an introduction to VCE Twentieth Century History (Unit 1). Use all 73 questions, or pick and choose to suit your curriculum.